The main goal of this hoax was to trick Peruvian media and general audience into thinking that new archaeological objects were found in Peru. A previous project entitled “Politically Incorrect Artefacts,” where speculative objects from a dystopian future where produced, served as a foundation for this deception. 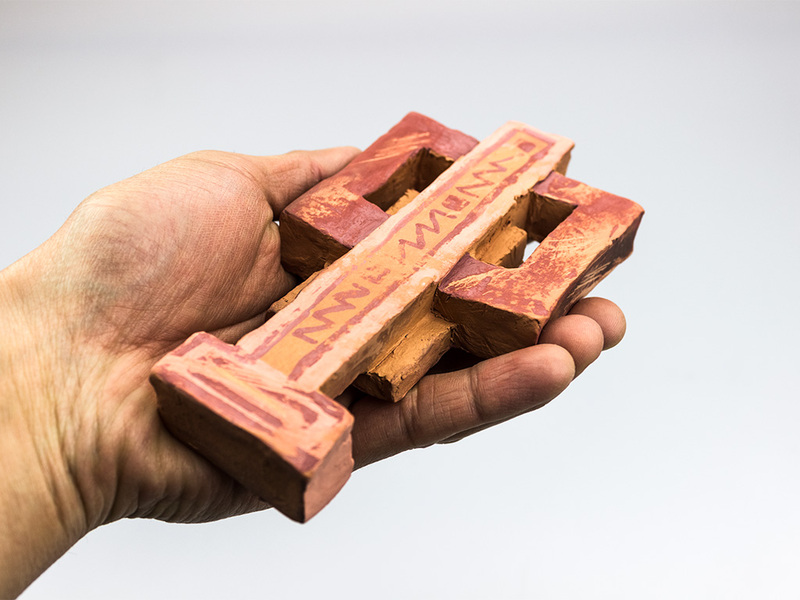 In this process of trickery the products elaborated beforehand will appear as forgery whereas the pottery pieces will become genuine handicraft due to the fact they appear in Maria Reiche’s association website (which happens to be non-existen organisation.) By using channels such as websites, blogs, and social platforms the gullibility of media was tested. In order to disseminate the hoax the project played on three fronts. 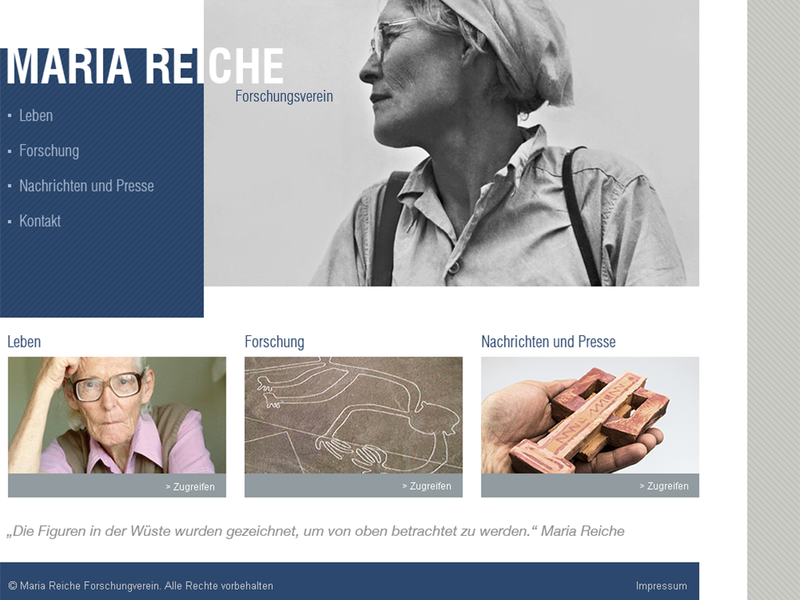 First, a website was created for the so-called Maria Recihe Forschungsverein. The ceramic pieces were displayed on this website. Second, clone websites of prestigious media central like “BBC” or “UN News Centre” were deployed. In those pages, news concerning the discovery of this Pre-Columbian pottery was displayed. 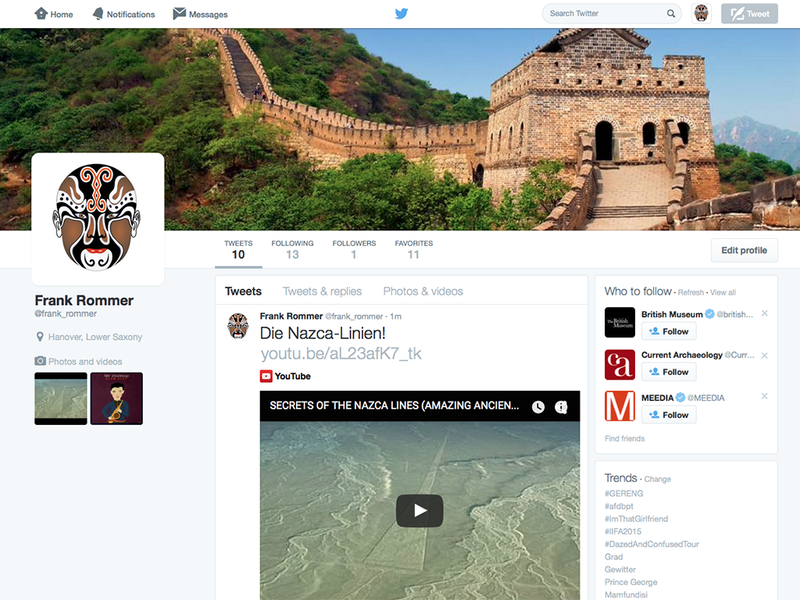 Third, fake Twitter accounts helped to spread the information from the association website as well as the cloned media sites. The main objective with this website was to give credibilitylity to the hoax. Maria Reiche was a prestigious German archaeologist who did extensive research on Pre-Columbian culture in Peru. Therefore, it was ideal to use her name to label this organisation. Real information was used to fill in the content except in the “News” section. Among several veritable events, the news concerning the discovery of new ancient ceramic objects was slipped in. It is important to state that, in order to avoid legal issues, the true nature of the project was disclosed in the “Impressum” section of the web. Using Clone Zone, it was possible to deploy a reliable imitation of two renowned media sites: “BBC” and “United Nations News Centre.” Inasmuch as the goal was to trick Peruvian media, having these trustworthy sources on the Internet came in handy. Although there is a Clone Zone banner on the bottom of the page stating the artificial nature of the web depicted, it could pass as advertising and people barely noticed it. All in all, the forged webpages looked as the real ones. Five fictional Twitter accounts were created to disseminate the ruse. Each of these accounts surfaced several weeks before the project. This was intentional, for it gave these “persons” time to have a reasonable number of posts before engaging in the hoax. Otherwise it would have been too suspicious. The only thing in common between these people were their interest in archeology. So, from time to time, their posts contained information that seemed casual but that progressively narrowed into this project. At some point, tweets about both “Maria Forschungsverein” website and the cloned media websites became frequent. Moreover, posts were starred and retweeted between the phony accounts. In the end, some of these accounts were sharing and tweeting directly to Peruvian newspapers to push the hoax into the media. In overall, the project was insightful insofar it allowed me to understand how a hoax comprises of several parts and how it needs to be carefully staged in order to be successful. Pushing a hoax into the media seemed like an easy task given the amount of phony information that makes the front pages of newspapers and websites nowadays. 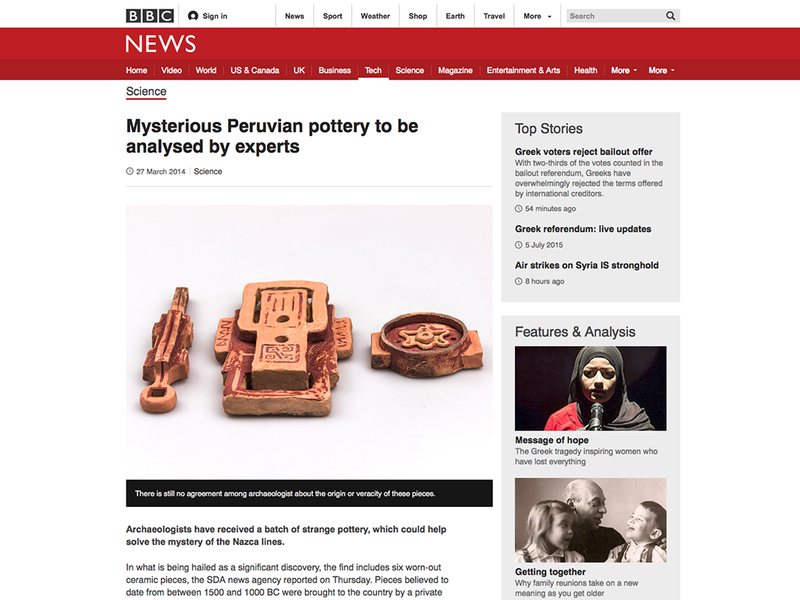 Nevertheless, the ultimate goal (trick Peruvian media into thinking the pottery was real) was not achieved. I could speculate about the reasons for this failure. First, I believe I should have used more people (real and non-real) in social media to cause a major impact. In hindsight, the sole use of Twitter was not enough because this social network is not as popular and/or strong as Facebook is (having said that, it is rather harder to open and keep Facebook phony accounts.) Second, I could say the topic of this hoax was not so interesting/catchy for general media, but for specialised cultural publications. Finally, there is always a pinch of luck needed because there is a humongous amount of information in the world, and media needs to pick up just a tiny portion of this mass of content.